Security guard companies have some kind of security guard reporting system. The question is just, how efficient it is? If your guards are scribbling out hand written activity and incident reports, if your guards have to wait until the return to base to type out all the activities of their day, or if your guard company has to wait until a guard’s shift is over to receive the incident reports and daily activity reports, then you need to make a change. Call GuardMetrics and request a demonstration of this real-time mobile security guard reporting system. 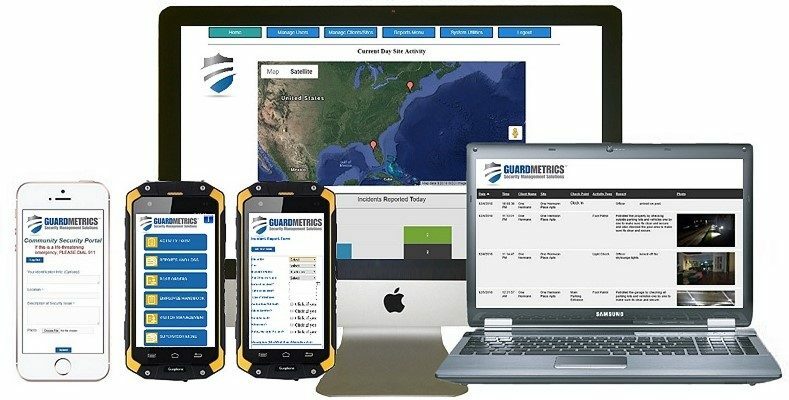 The GuardMetrics mobile guard reporting software app is developed by former security guard management experts for security officers and guard company managers and owners. This fact resonates through every facet of the GuardMetrics team and is the foundation of our corporate culture. If you need to add a client site, we know that you need to add them NOW. If you need to send an incident report to a supervisor or a stakeholder, we know that you need to send it NOW. And if you need to reach a GuardMetrics expert for support in the evening or on the weekend, we know that you need that support NOW. That will not be the case with some pansy software development company that decided they could make money by producing an over-complicated security guard reporting system. If you trust your guard company software with those folks, be prepared for, “You have reached us after hours. Please call back between 9am and 5pm EDT, Monday through Friday, to speak with a live representative”. The point is simple. If you want the best security guard reporting system available, go with a company that understands that real security is REAL-TIME. Call a GuardMetrics security expert today to see what a security guard reporting system app should be. First there was hand delivery and snailmail of security guard reports, then there was email, and now there is the GuardMetrics “Client Portal“. The Client Portal is your customer’s personal portal to their data. It is STILL branded to your security guard company, with your name and logo, but it is a portal like your Management Portal where their data is stored, and sortable, so they can slice and dice the reports any way they wish and from any computer! You can choose to approve data received from the mobile security guard reporting app, or you can allow it to feed to their Client Portal piece of your security guard reporting system LIVE, so they receive all reports in real-time as well; whatever YOU choose! So, you need a real-time reporting system. The next question is, what will it cost? You will like the answer. 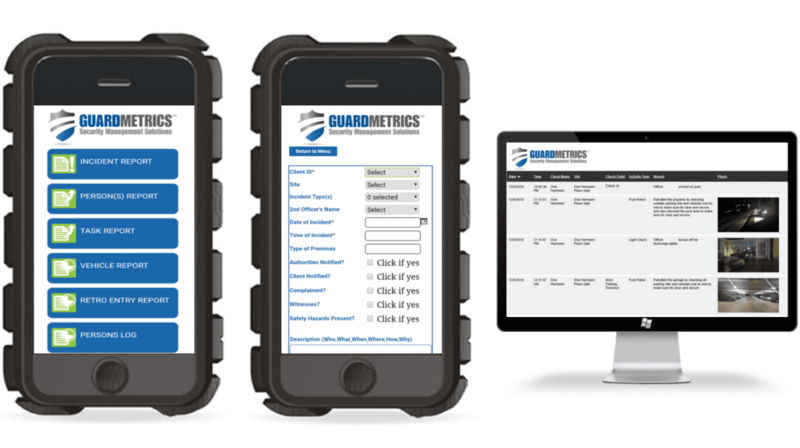 GuardMetrics has developed this security guard reporting system to fit your budget. If you have a number of static sites, you are billed PER-SITE. If you run a mobile patrol route with 3 vehicles covering 20 sites, you are billed PER-USER; whatever fits! This too is based on our decades of experience with security guard companies. We understand that one method does NOT fit all business models. And when you couple the affordable pricing with the fact that we provide your check-points for free, and that you can even have your guards use their own smart-devices on the fly, the savings is HUGE. Call us, or click here, and be pleasantly surprised at how affordable a great security guard reporting system can be!